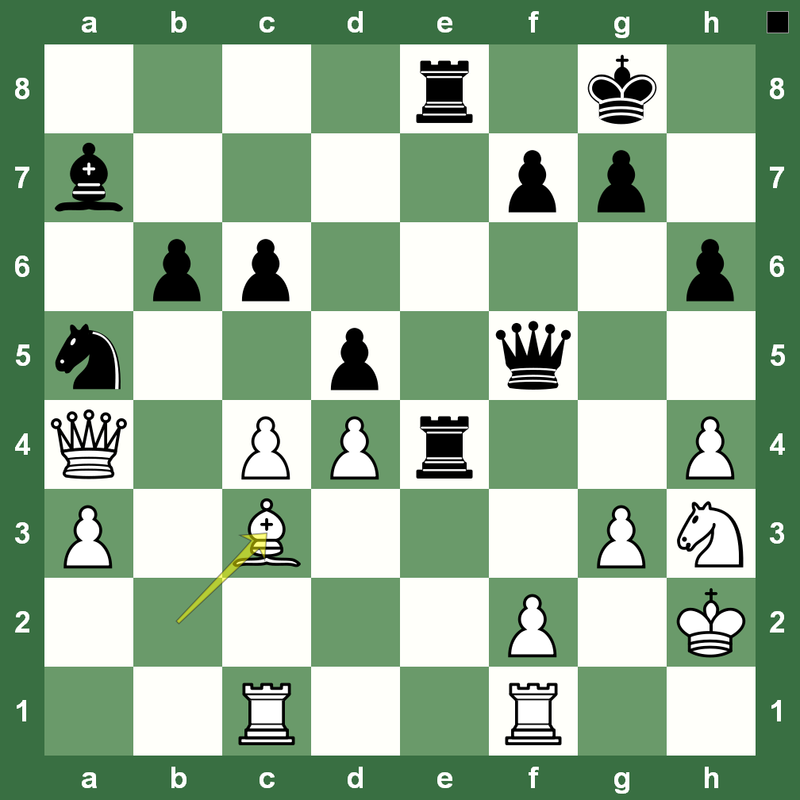 Here is a slightly difficult chess puzzle from the game Michael Adams – Peter Leko played in Linares, 1999. Consider all the strategic concepts and calculate as far as you can. White to win. A nice game from former British Chess Champion Michael Adams: White plays and win, or better still, checkmates in two! Figure it out. It’s easy. Vladimir Kramnik played the longest game of the last round to beat Michael Adams and conclude the Alekhine Chess Memorial 2013 with a 50% score. 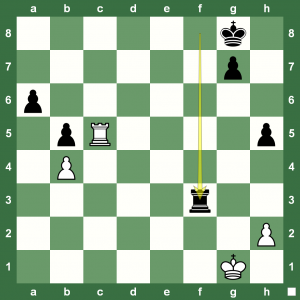 The Russian Grandmaster showed how rolling pawns can be devastating and decide the game against the strongest of opposition. Read a tournament report on Chess Blog. Replay the game with Chess King. 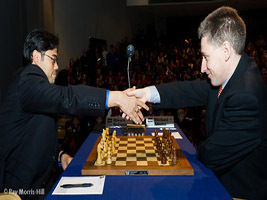 Only one game proved decisive in the third round of the Alekhine Ches Memorial 2013. 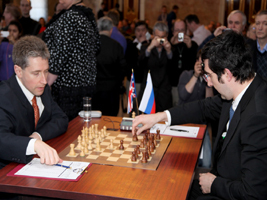 It was Boris Gelfand grinding down Michael Adams after the latter’s perfect score in the first two rounds. Black’s Queen’s Gambit Declined structure was passive giving White a strong hold over the game. 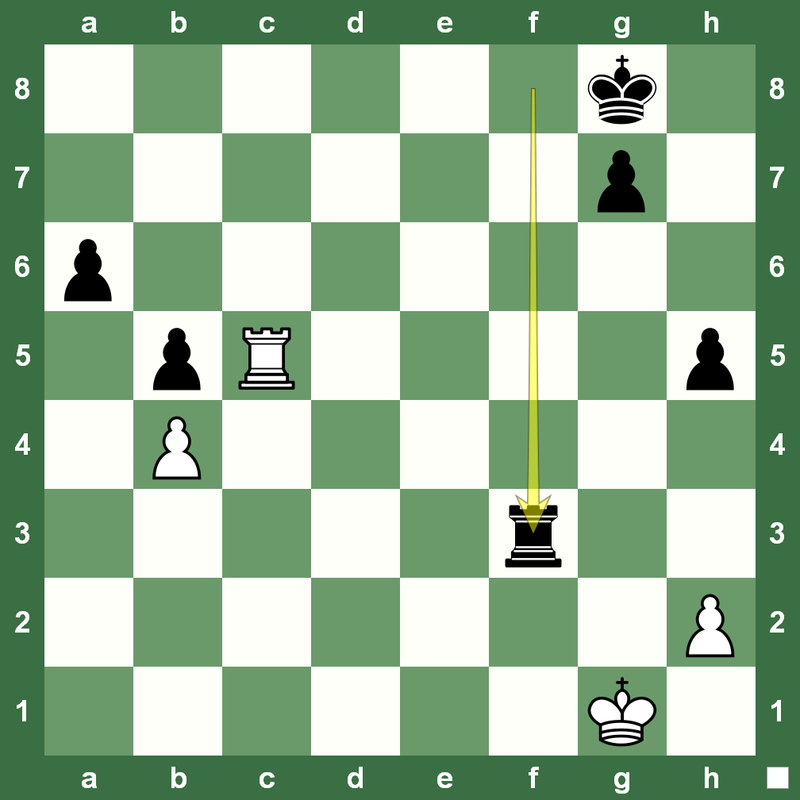 The error with 24… Kg7 eventually led the tournament leader to resign. Read a full report on the round at Chess Blog. Replay the game with Chess King below. 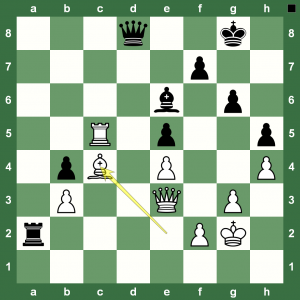 The Alekhine Chess Memorial had another set of very exciting games in the second round. 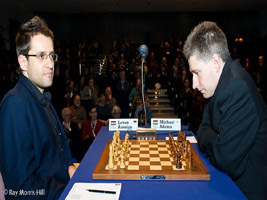 Former British Chess Champion Michael Adams won his second game straight to take lead in the tournament. 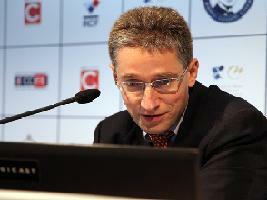 Read a full round report on Chess Blog. 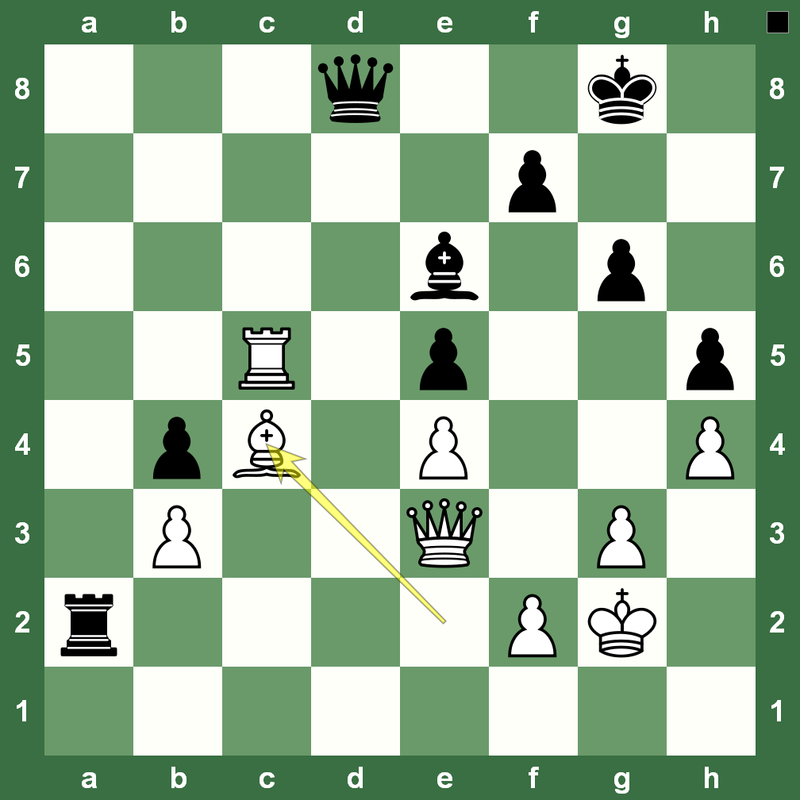 Here is the nice Michael Adams – Peter Svidler game in the Chess King applet. 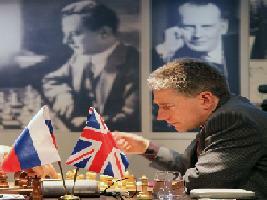 The Alekhine Chess Memorial has begun in Paris and there were exciting games in the first round as well. The event is being held in a special chess pavilion built specially for the Memorial on the premises of the Tuileries Garden (the Louvre Museum). 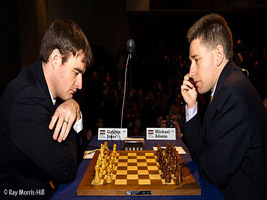 One of the decisive games was World Chess Champion Viswanathan Anand losing with White to multiple-time British Champion Michael Adams. A full report on the first round at the Alekhine Chess Memorial 2013 is posted at Chess Blog. 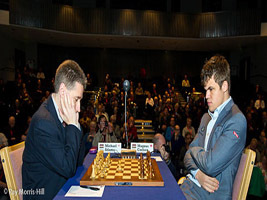 London Chess Classic 2012 Round 3: A pawn is dangerous. A rolling pawn is very dangerous. 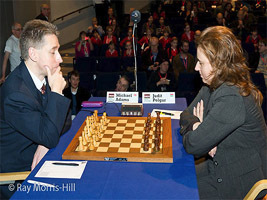 That’s the lesson British Grandmaster Michael Adams was ready with for Hungarian GM Judit Polgar Monday night. 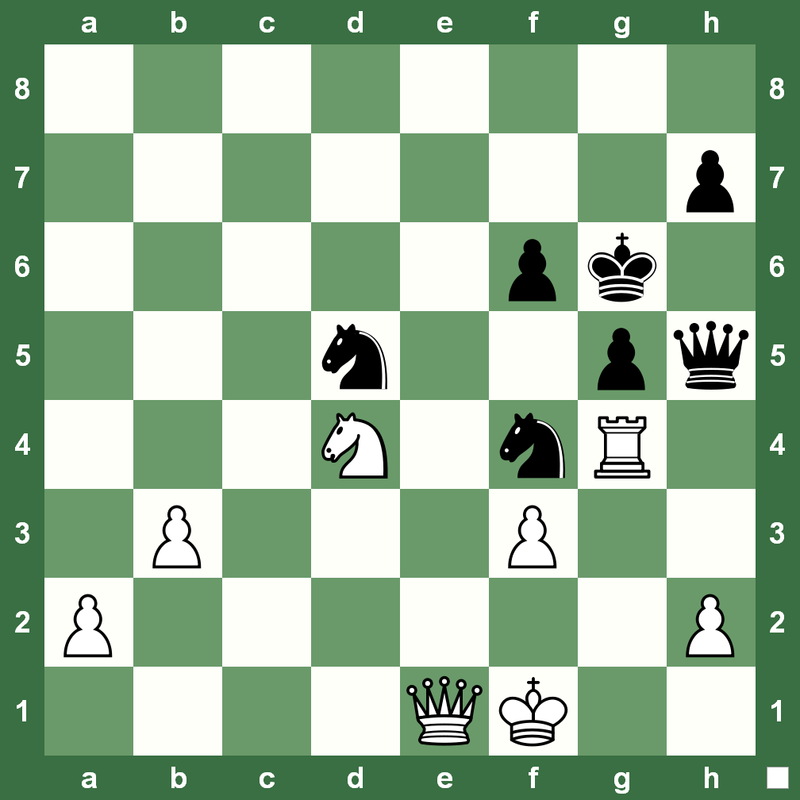 Playing White against Polgar’s pet Sicilian, Adams was in the saddle for a nice victory in the third round. Replay the game with Chess King in the extended post… and, keep those pawns rolling on the chess board! 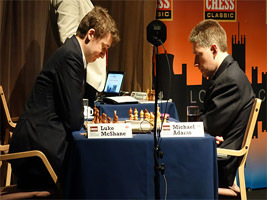 The all-British encounter in the first round at the London Chess Classic 2012 was between Gawain Jones and Michael Adams. The endgame saw Adams stay patient and pick up extra pawns leaving White material down and forcing a resignation. Watch the game in the Chess King applet. A lonesome Chess King with very few defenders around is a clear signal to find a winning attack. Do you play chess like that? Here is such a position from the game Lars Bo Hansen-Adams, Wijk aan Zee, 1995. White has just played 31.Bc3 How did Black win this? 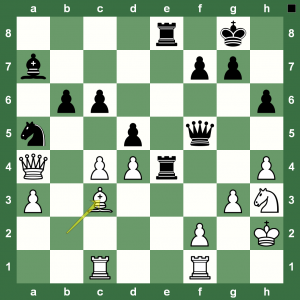 Check the answer with Chess King + Houdini in the extended post. 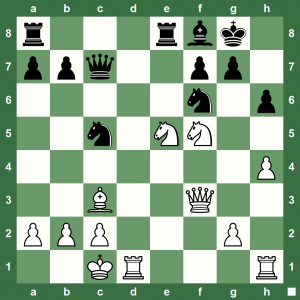 London Chess Grand Prix: Assess this Endgame! Here is a position from the London Chess Grand Prix Round 7 (Report on Chess Blog.) 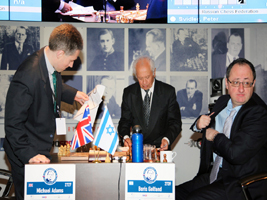 The game was between Michael Adams and Boris Gelfand. 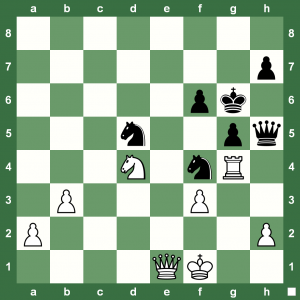 Black dilutes down to a won endgame, but how to win it? Look at the pawn situation and come up with a strategic idea for Black to win. Remember, you need to think of strategy first before the move pattern here.